Ms. Mel Woods is expert in Art and Design at the Dundee University. Her research during the past 12 years has had an international focus, building the theme of ‘creative intelligence’ with a focus on people, future technologies and societal challenges. 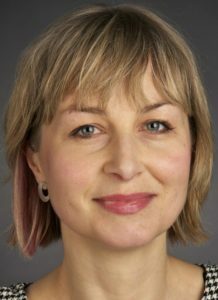 Her current work is applying this knowledge to grassroots citizen science activities following the successful H2020 Making Sense (CAPS) and H2020 GROW Observatory (Citizen Observatories). Both these projects are internationally configured working with partners across the EU, including WAAG Society, IAAC, JRC, Met Office, IIASA, Cultiv8, Storythings and FutureEverything amongst others.